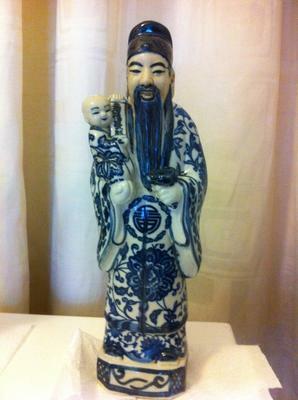 I have recently ended up with 2 chinese porcelain figuirines and i am just enguiring if any one has any information on these. i.e: knows what the pressed stamp means? where they are from? are they of any value? 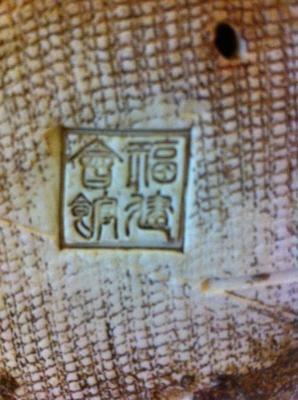 The mark says "Fujian Huiguan", which seems to have been a sort of association in the mid-20th century. 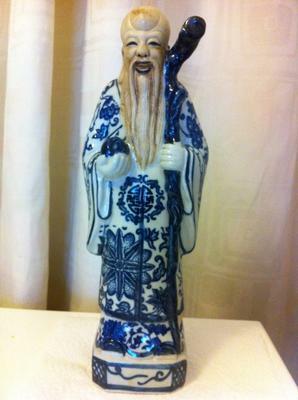 However, the style and tone of blue give the impression that it is from the second half of the 20th century. Sorry, we don't talk about value here, for several reasons. Kindly look at "Value of Antiques" in the right menu.